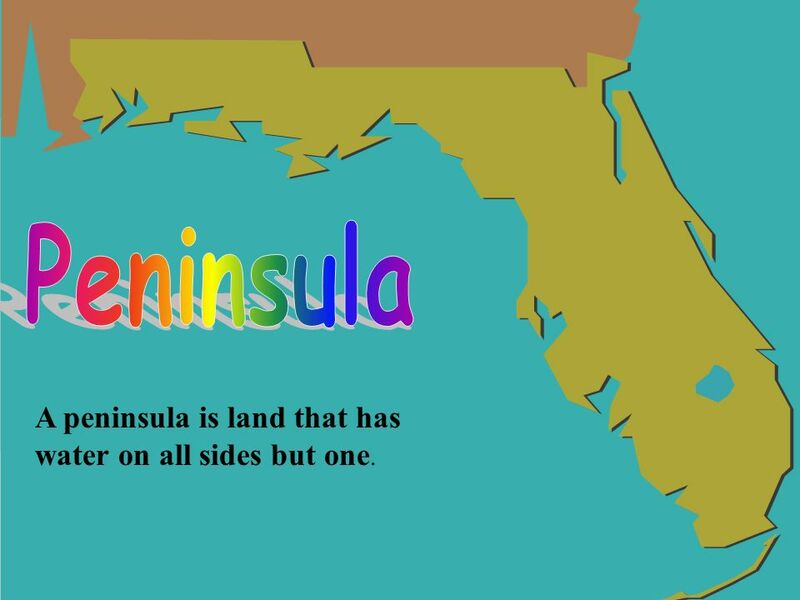 This lesson will introduce some of the major kinds of landforms. 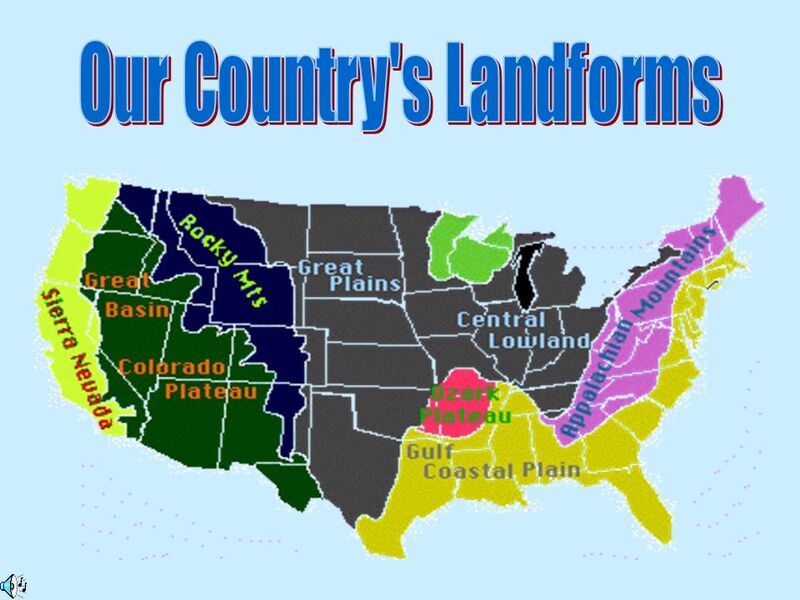 1 This lesson will introduce some of the major kinds of landforms. 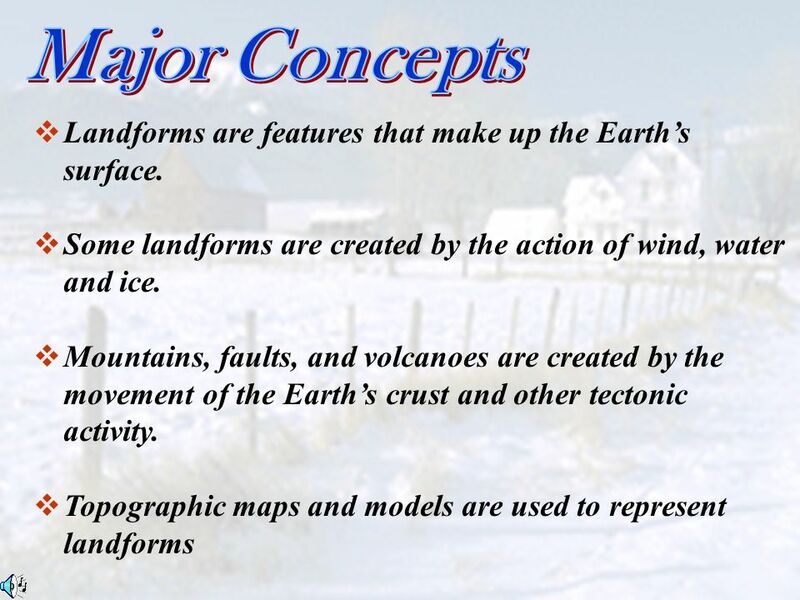 2 Major Concepts Landforms are features that make up the Earth’s surface. Some landforms are created by the action of wind, water and ice. Mountains, faults, and volcanoes are created by the movement of the Earth’s crust and other tectonic activity. Topographic maps and models are used to represent landforms . higher than a hill. Mountains are found on land and on the ocean floor. 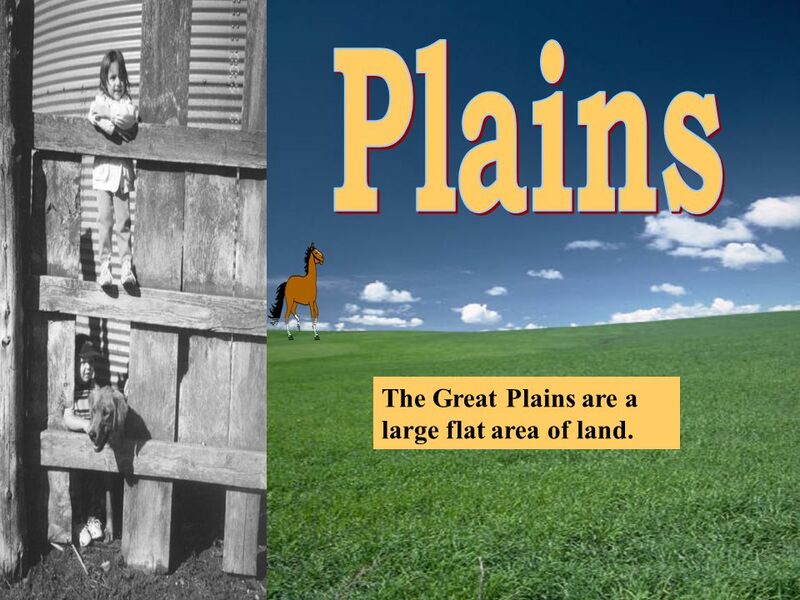 5 Plains The Great Plains are a large flat area of land. 6 Canyon It is a deep river valley with steep sides. 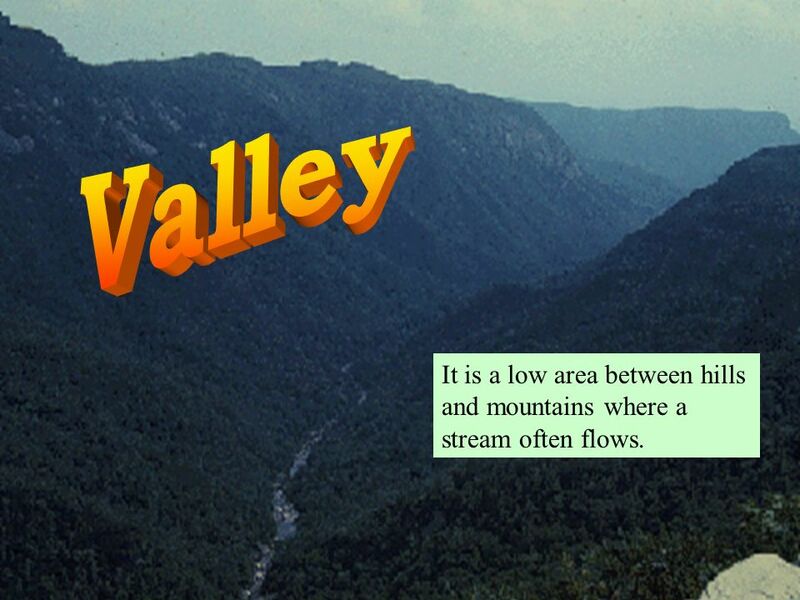 7 Valley It is a low area between hills and mountains where a stream often flows. 8 Mesa This is a landform that looks like a high, flat table. 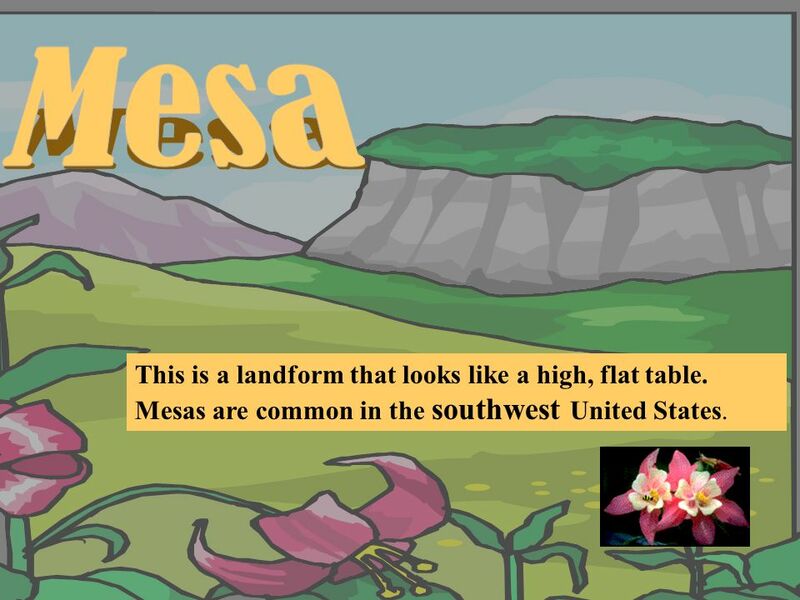 Mesas are common in the southwest United States. 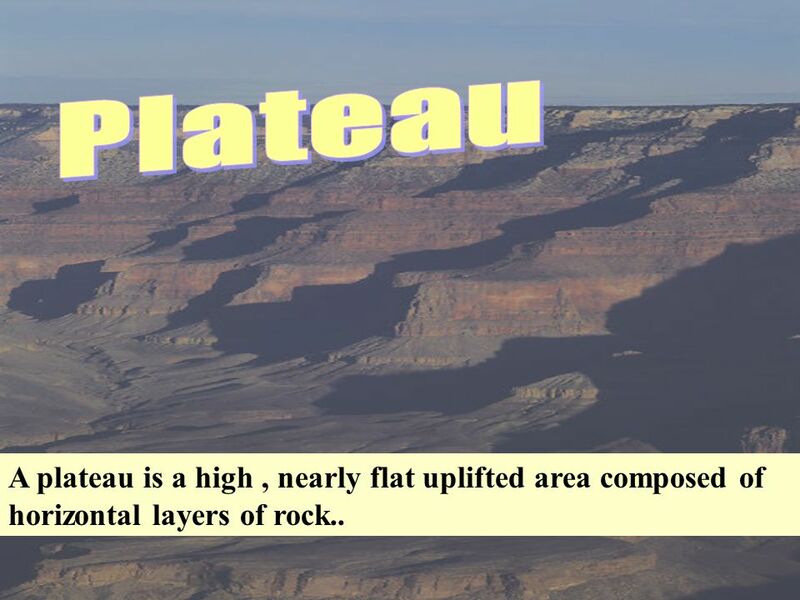 9 Plateau A plateau is a high , nearly flat uplifted area composed of horizontal layers of rock..
10 Peninsula A peninsula is land that has water on all sides but one. 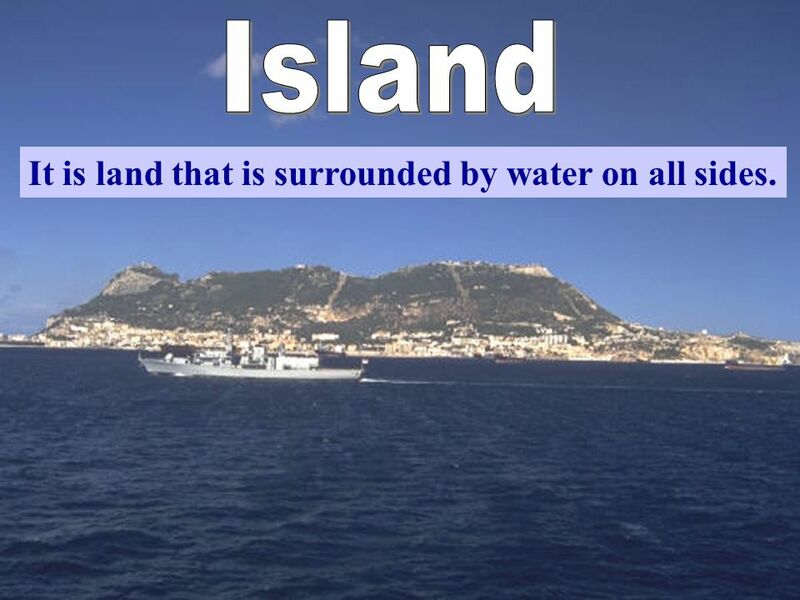 11 Island It is land that is surrounded by water on all sides. 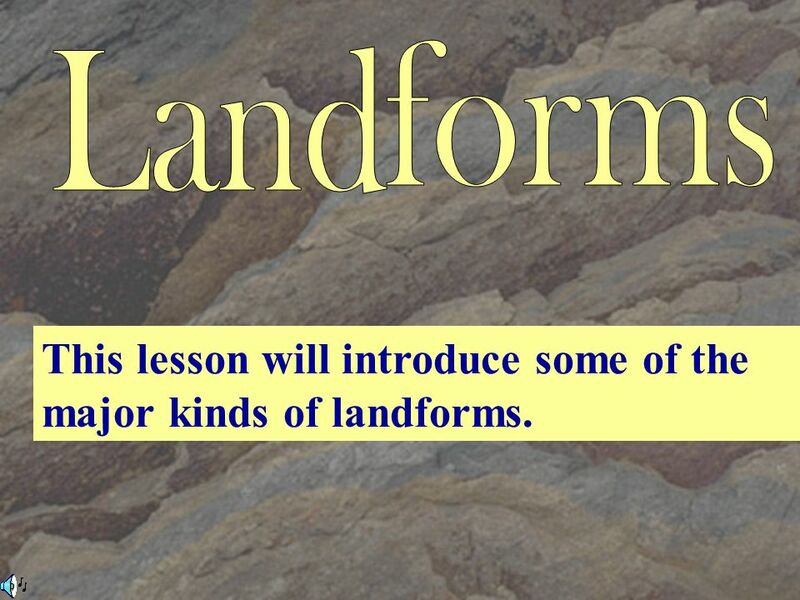 Download ppt "This lesson will introduce some of the major kinds of landforms." Match the Photograph with the Correct Geography Term! Landforms A natural formation or area of land, like a mountain, valley, or plain. Flat landscape: There are no hills or mountains. Plain: areas on low land. Plateau : is higher than the land around it. Mountain landscape Mountain ranges. Landforms. 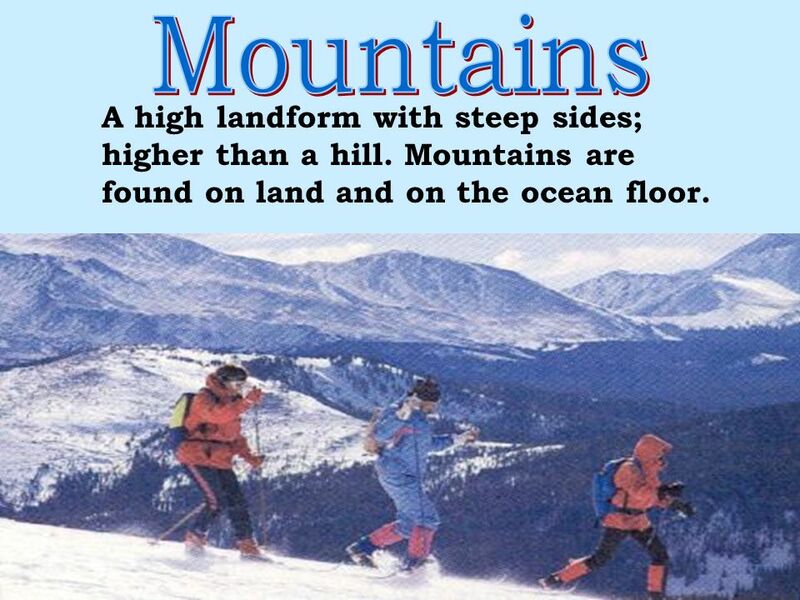 A mountain is a landform higher than the land around it. Mountain.